I wish my hair could look that great every day!...Most days my hair goes up in a bun! 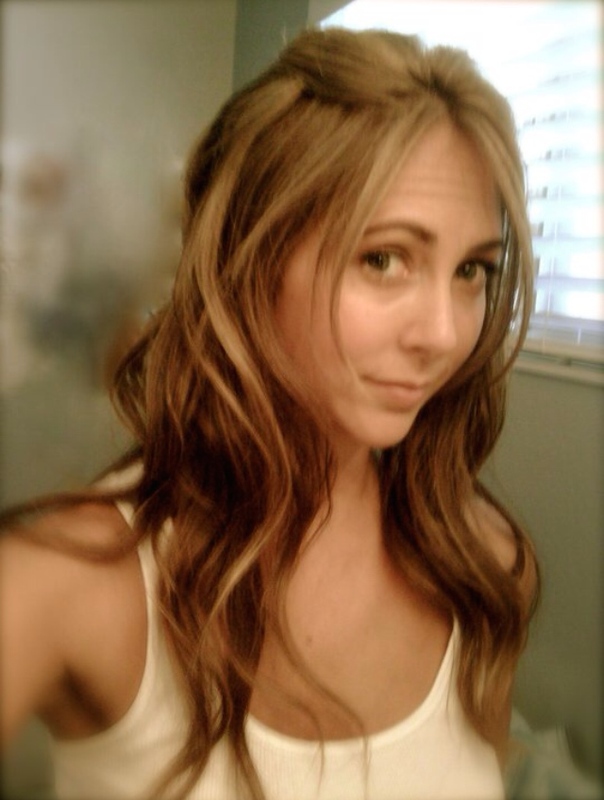 I have naturally straight hair and I had told the hairdresser that I wanted my hair "wavy". Not curly...and by no means "ringlets curls"! I took her all these magazine pictures of "Victoria Secret" hair...how do they do that!? So, she used a "clipless curling iron" and wrapped my hair around it rather than clipping and rolling it like in a traditional curling iron. 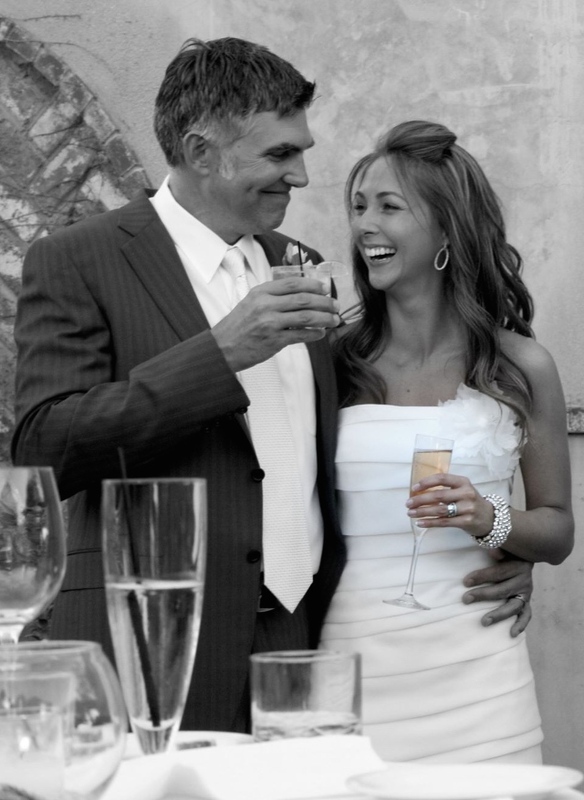 This is the photo of my "trial" wedding hair...I loved it. It had BIG waves. I liked it better on this day actually because she had to make the curls a little tighter on my actually wedding day so that it would last. Would I ever be able to recreate it myself?? 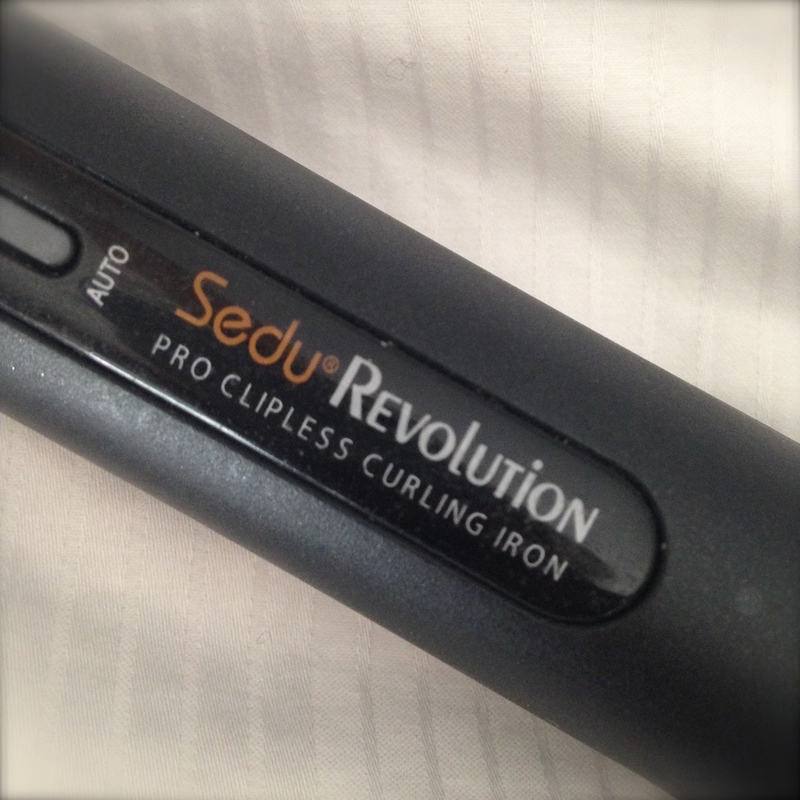 I started looking online and found this clipless curling iron by Sedu. This was four years ago, so they have many more available today. I got a high quality one like I do with my flatiron to cause as little damage to my hair as possible...I already have naturally dry hair! Here's what the clipless curling iron looks like...I got the largest barrel that they had since I have long hair and like BIG waves. I think it's their 1 1/2 inch. They have smaller ones....which I would recommend if you don't have hair as long as mine. Here is what I do... MY hair happens to be very dry like I said and tends to be pretty frizzy the day I wash it no matter what I do! On that day I either bun it...or run a flat iron through it. So, for the best results on my hair I like to curl the day after washing it. I only have to wash my hair every 3 days. 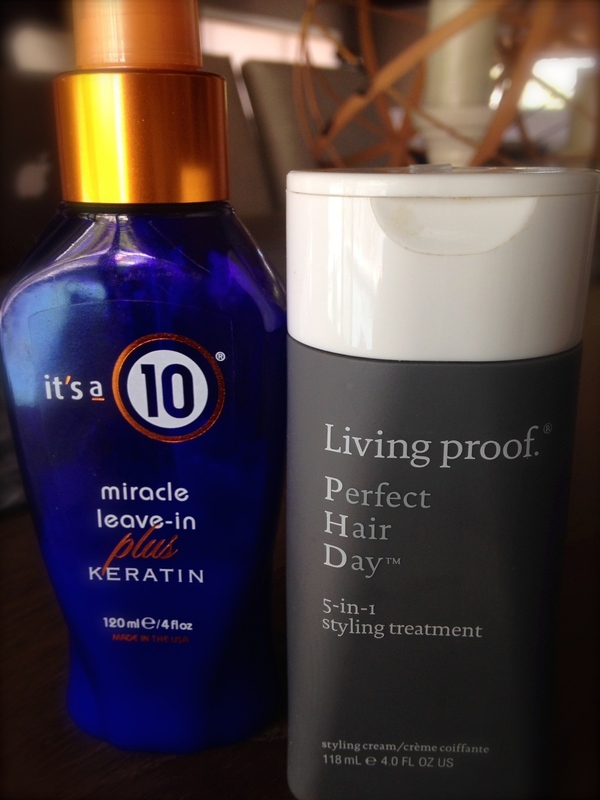 Here are some of the products that I have that I use on wet hair after washing it, before brushing it through... I like all of them! I use all of them on different days, depending on my mood...I love that one is a spray...easy!! 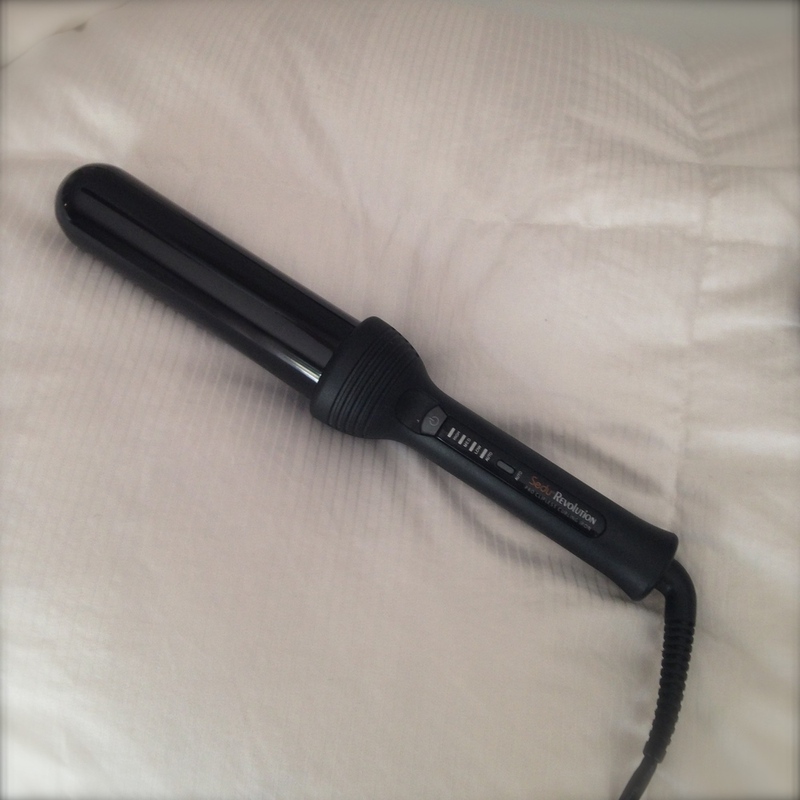 This one can also be used on dry hair to tame flyaways! I wrap my hair in two sections, first the bottom layer all around, then the top. What I do is clip the top half of my hair up on top of my head so I can easily work with the underneath layer. I wrap 1" to 2" sections around the barrel away from my face. Once the underneath section is curled, release the top section and repeat with the top layer, curling in the direction away from your face. Once you are done, and the curls are cool to the touch, run your fingers through the curls to break them apart so they aren't in "rolls". Then take your fingers and "twirl" sections to make it look piece-y.